Recently, the manufacturing division from Linkra Networks engaged IPSES to develop a test solution for complex and densely populated computing boards containing over 20,000 solder joints and with around 5500 connection nets. Linkra had envisaged a strategy based on in-circuit testing. IPSES proposed a faster and more cost effective solution using boundary scan to test the majority of the board’s connections. “The cost of building a fixture and developing software to test this board would be high. We saw the opportunity to deliver a priced solution within a fast turnaround time using the XJTAG boundary scan system”, says Angelo Stella of IPSES. XJTAG boundary scan is able to test a high proportion of connections and components, including non-JTAG devices, with very few physical connections to the board. Connecting the tester via the 4-pin JTAG header provided on the board, plus additional connections using the XJLink2 I/O expander to enhance test coverage, allows XJTAG’s XJDeveloper application to check the unit under test against board information automatically captured from CAD data or entered manually. XJDeveloper’s advanced graphical interface helps to set up each project and visualise faults with individual boards, and enables faster project completion by providing built-in tests such as connection tests. Angelo Stella singles out XJTAG’s high-level test description language, XJEase, as one of the most helpful features simplifying the development of tests for non-JTAG devices. “XJEase breaks the boundaries of the boundary scan chain. It is an open language, which can be learned quickly and provides more flexibility than solutions offered by other systems for testing non-JTAG devices.” He adds that some of these alternatives are extra-cost options, whereas XJEase comes with no such restrictions. 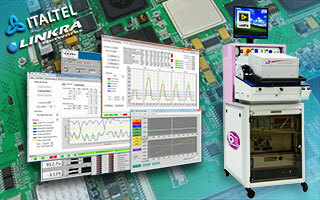 Using the built-in test capabilities, clear visualisation tools and DFT analyser provided, and taking advantage of XJEase to maximise test coverage, the team at IPSES created a solution for testing 75% of the board before even considering creating an ICT fixture or using a flying probe tester. “XJTAG effectively solved three quarters of our test challenge with comparatively little engineering effort and without complex custom hardware”, comments Angelo Stella. Using XJTAG, we were able to deliver a competitively priced solution within a fast turnaround time. XJTAG effectively solved three quarters of our test challenge with comparatively little engineering effort and without committing to custom hardware. The XJEase test description language is more flexible and cost effective than other solutions, and allows us to test beyond the boundaries of the boundary scan chain. XJTAG boundary scan is able to test a high proportion of connections and components, including non-JTAG devices, with very few physical connections to the board. Using XJTAG, we have achieved a very satisfactory and easy to use solution. IPSES is located near Milan, Italy, and produces customised electronic solutions for scientific and industrial applications. The 10-strong team has specialist expertise in networking and connectivity, embedded firmware, integrating data analysis and acquisition systems, and making devices for automatic testing of electronic assemblies.